Chanukah is an annual celebration most commonly associated with menorah-lighting, dreidel-spinning and gift-giving. You’re probably not nearly as familiar, however, with the hallowed tradition of latkes and vodkas. And for good reason: we made it up. It’s not just that we love a good rhyme. It turns out the famed potato pancake pairs beautifully alongside a spirit that’s often distilled from the very same root vegetable. In fact, even if you’re not a fan of potato-derived spirit—or you’re not even Jewish—latkes and vodkas are a great way to get festive this holiday season. Here’s how to get the party started. You can typically find take-home latkes at your local Jewish deli. But if you don’t have a local Jewish deli, making your own is fun and easy. All you need are potatoes, onions, eggs and a grater. It’s just that simple. Invite some friends and loved ones into the kitchen and break out a bottle of your favorite vodka. Shot glasses optional. Like most spirits around the globe, vodka is typically distilled using whatever ingredients are locally available. In the US, we have a lot of corn. Our most popular entries in the category—including Tito’s, Smirnoff, Deep Eddy and Prairie—are all made with maize. In the UK and Scandinavia, wheat is plentiful. Reyka, Finlandia and Absolut are all famous examples incorporating that grain. In Eastern Europe and Russia, the potato reigns supreme. 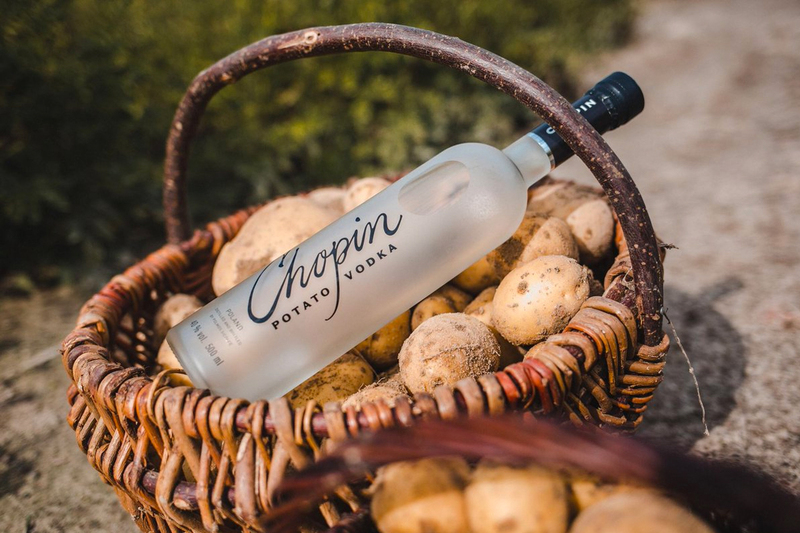 While long perceived as an inferior distillate, offerings from Chopin and Sobieski highlight how potato-based vodkas can provide elegance and drinkability. Any of the above selections would work wonderfully alongside your latkes. Just remember that the base ingredient of your vodka will alter how it combines with the pancakes. Because vodka is distilled at a high proof to be largely flavorless and odorless, a big distinction amongst brands is in the mouthfeel. Black Cow is a notorious outlier. 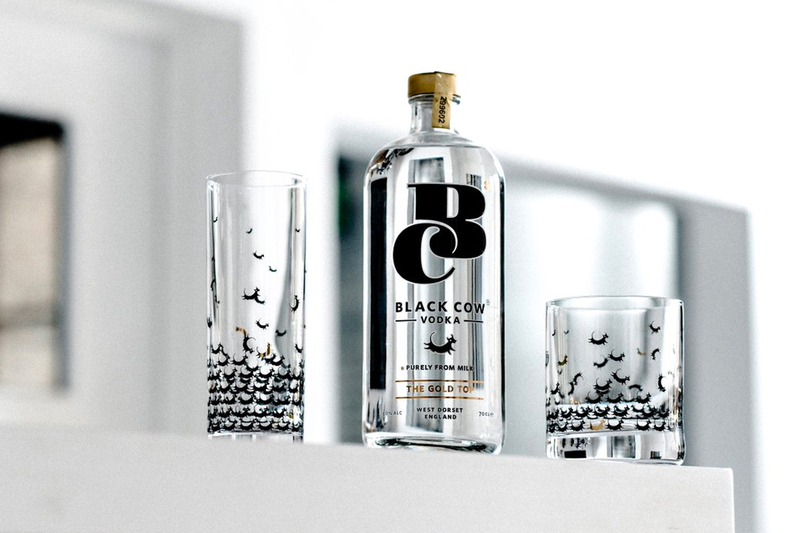 Distilled from cow’s milk on a dairy farm in the west of England, this premium spirit exerts an exceptional velvet-like presence on the palate. It might not seem like an obvious choice for fried potato pairing. But consider this: sour cream is one of the most classic accompaniments to a proper plate of latkes. So dip your freshly-fried pancake into its preferred sauce, back it up with a couple sips of Black Cow over ice and embrace the parade of flavors to follow. Potatoes don’t scream sweetness. But when the combination of shredded starch and eggs hits the frying pan, the Maillard reaction results in latkes that are slightly caramelized. The subtlety can be elongated by the sip of a vodka demonstrating similar tonalities. Grey Goose is a prime example here, as it famously builds its gentle flavor off of soft winter wheat. If you want something a bit more on-the-nose, consider Finlandia Cranberry. It exhibits qualities of sweet and tart, in both aroma and finish. There are also a handful of American craft entries using actual sweet potato. In the Central Valley of California, Corbin Cash distills a vodka out of the vegetable, 100% of which is sourced from their own farm. In rural New Hampshire, Art in the Age infuses a base spirit with garden-fresh whole sweet potatoes along with maple syrup, cloves, and white oak chips. As a result, the vodka is lush and latke-approved. 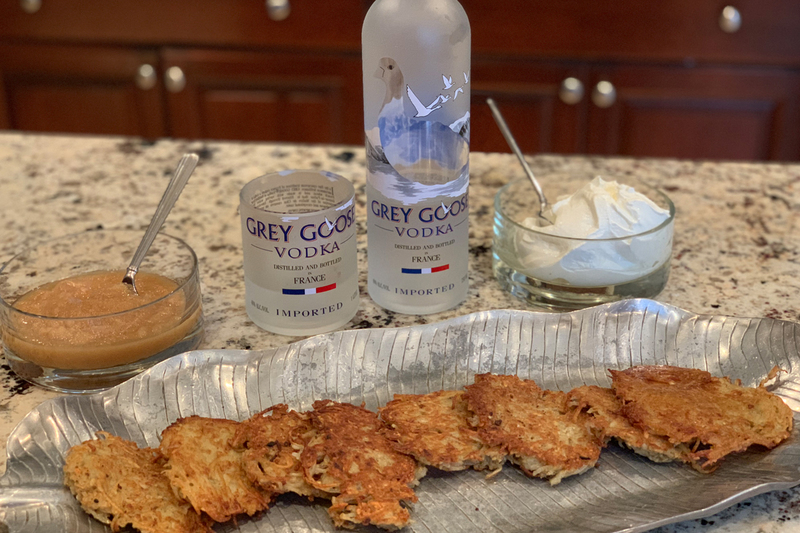 Finding your ideal latkes and vodkas pairing should hardly be a chore. Fried potatoes and onions are as versatile as they are dependably delicious. Likewise, vodka can bend to whatever whim suits your fancy. So the specific combination you land upon is nothing more than a centerpiece around which to build your holiday revelry. There’s nothing to stop you from getting funky with your experimentations. As Adam Sandler famously proclaimed, “Chanukah is the Festival of Lights.” Serve up some latkes and vodkas this December and you’ll enjoy eight especially crazy nights.